will be preserved and it's story told." Come See Our New History Center ..... After planning and hoping for years to move to our new site in downtown Nashville, Indiana - the day has finally arrived. 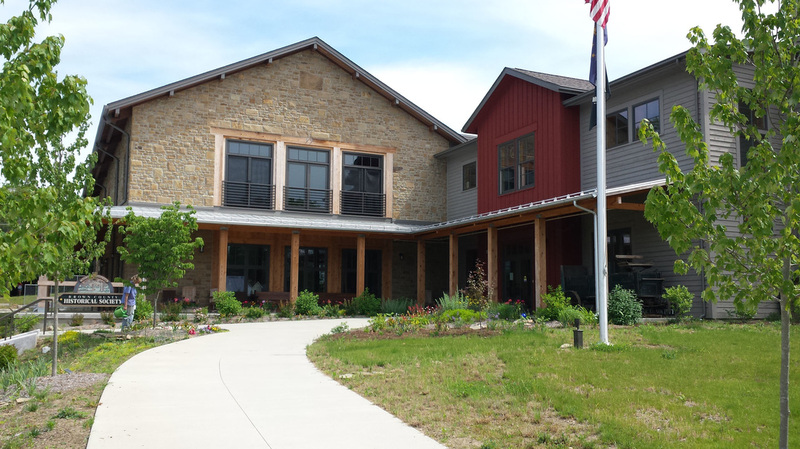 Located just northeast of the courthouse, the recently completed Brown County History Center welcomes visitors with a wide front porch and rustic charm. There are exhibit halls, a reconstructed log cabin room with fireplace, a gift shop, environmentally controlled areas for the collection and archive of important documents. Learn what makes Brown County so fascinating. Contributions toward the final expenses will enable us to own this new facility DEBT FREE! Please consider making a contribution today. Naming Rights are still available for a few spaces. Contact Alice Lorenz, Treasurer for details 812-988-2899.